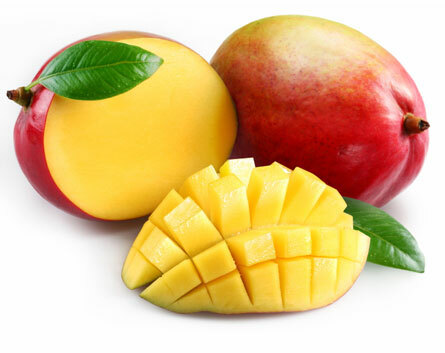 Thaw and drain well if using frozen mangos. Stir sugar into prepared fruit. Mix well. Combine 1 box Sure-Jell Premium Fruit Pectin and ½ cup water in small sauce pan. (Pectin may start out lumpy). Bring to boil, stirring constantly for one minute. Remove from heat. Stir pectin into fruit. Pour into prepared containers, leaving ½ inch at top for expansion during freezing. Cover with lids. Let stand at room temperature 24 hours until set. Refrigerate up to 3 weeks. Otherwise, store in freezer up to a year. Thaw in refrigerator. Makes four cups.